Justin Stokes, shot to death May 5, 2012, at 173 Brabant St. in Mariners Harbor. NEW YORK CITY — One man was killed and three others wounded in an early morning shooting in Staten Island, police said. Cops received a 911 around 4:30 a.m. directing them to 173 Brabant St. in the Mariners Harbor Houses, where they found four men shot inside the building. 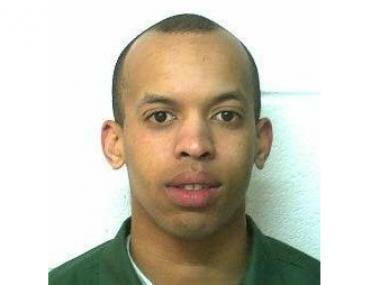 Killed was justin Stokes, 20, who was paroled last month after serving time on a weapon charge. He was shot once in the torso and was pronounced dead at Richmond University Medical Center. Stokes was barely out of prison when he was arrested after a wild car chase, the Staten Island Advance reported. Stokes was in the passenger seat of a car from which the driver was allegedly selling drugs, the paper said. When cops closed in, the driver took off on a three-mile daredevil run, blowing through seven stop signs and three red lights before crashing the car, according to the Advance. Stokes was charge with marijuana possession, a charge that was still pending when he died. Three other men from the Saturday morning shooting were taken to Richmond University Medical Center — a 26-year-old man also shot once in the torso was listed in critical condition, a 24-year-old man shot twice in the legs was listed in stable condition, as was a 30-year-old man shot once in the buttocks.